All of our partner schools deliver high quality language teacher and provide facilities that meet the required standards of internationally acknowledged independent federations and professional associations. The quality control bodies that Cactus Language and our partner schools are members of are listed below. Please check the individual school’s page for specific memberships. This association unites the top schools that run Italian language courses across Italy. The British Council is run by the British government. It assesses the quality of language schools in the UK. All the schools we work with in the UK are British Council accredited. Cactus Language is a member of EAQA – the European Association of Quality Agencies which is a non-for-profit professional association that brings together non-governmental education consultancy agencies in Europe. EAQUALS is an international organisation that brings together all language teaching service providers and only accredits schools with exceptional standards. English UK is an organisation that benefits and promotes all English language services in the UK. Schools must be British Council accredited to become a member. This national organisation guarantees the quality of the teaching of German as a foreign language in schools and universities throughout Germany. A federation for the best schools in Malta. This organisation was put in place by the CIEP (Centre International d’Études Pédagogiques) to allow students to identify French language schools demonstrating excellent quality tuition in France. 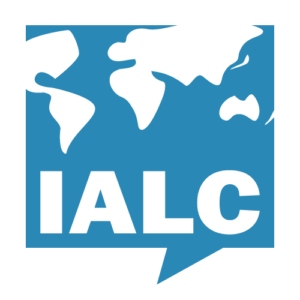 IALC is an association of more than 80 excellent small, non-chain language schools. Cactus Language is an ICEF agent. ICEF is the world leader in event organisation for international education. Cactus Language is an IH World agent partner, having been awared Agent of the month in 2015. The Cervantes Institute was founded in Spain to promote Spanish language teaching and knowledge of the cultures of Spanish-speaking countries throughout the world. Languages Canada guarantees high-quality teaching in Canada. The objective of this organisation is to guarantee the teaching quality of English language schools in Australia and is a government owned organisation. Cactus Language is an official agent of Quality English. This membership is only granted to independent schools with an excellent reputation that offer high quality courses. Cactus Language has been repeatedly nominated for “Star Agency Western Europe” award by many language schools across the world. Cactus Language is a member of Sussex Chamber of Commerce that supports businesses founded in the Sussex region of the UK. With 350 members in 60 different countries, WYSE is the biggest and most influential organisation in the field of youth travel.